Taking what it means to be a European vehicle and turning the convention on its’ head, Mini Cooper has become one of the go-to vehicles for drivers that are looking for all of the precision and tight handling of a luxury car but in a much more compact and maneuverable package. Fuel efficient without sacrificing any horsepower or engine strength Mini Cooper’s have also come a long way since the brand’s inception, becoming more and more spacious and surprisingly comfortable inside, giving drivers a complete experience that is unlike any other luxury vehicle available today. With such a compact stature, it is important that when it comes to maintenance for your Mini you choose mechanics that you can count on to know exactly what they are doing and what your car needs. For Anaheim, CA no place has been able to offer the high level of service and maintenance upkeep that a dealership could but with more affordable pricing and personalized service that Mike’s Foreign Car has provided for decades. With highly skilled and trained specialists handling all of your vehicle’s maintenance needs, it is easier than ever to find quality repair work that is also affordable. Since 1978 we have been working on European vehicles and have been putting customer service first, seeing first hand what maintenance each car needs and what their specific service plans require. Whether it is a routine maintenance appointment that your Mini Cooper needs to realign the wheels or tighten the handling or if you are in need of more serious repair work, our specialists utilize the latest factory level equipment so whether we are diagnosing an issue or repairing one, you can be assured that the job will get done the proper way with you involved in each step of the process so that you know exactly what service your car is getting. For Mini Cooper drivers looking to ensure that their car is properly serviced by trained and ASE certified specialists; Mike’s Foreign Car in Anaheim is the best choice for dealership alternative maintenance and also proudly services cars from Anaheim Hills, Fullerton, Yorba Linda and Placentia so no matter where you are located, affordable maintenance appointments and high quality repairs are a phone call away. 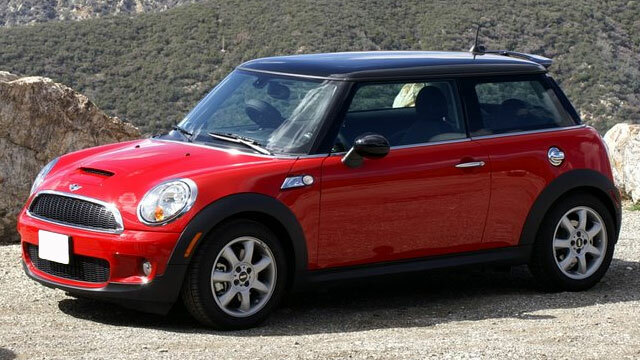 Mini Cooper Repair received 4.5 stars out of 5 based on 70 reviews on Yelp.